When we think about personalizing the customer journey, the last thing we typically think about is automation. While it’s true that automation and personalization seem to be antonyms, the fact is that you can’t have one without the other. Using omnichannel marketing automation for this is a natural next step. Omnichannel marketing allows channels to update each other based on customer behavior and engagement. For a truly personalized experience, using omnichannel marketing just makes sense. 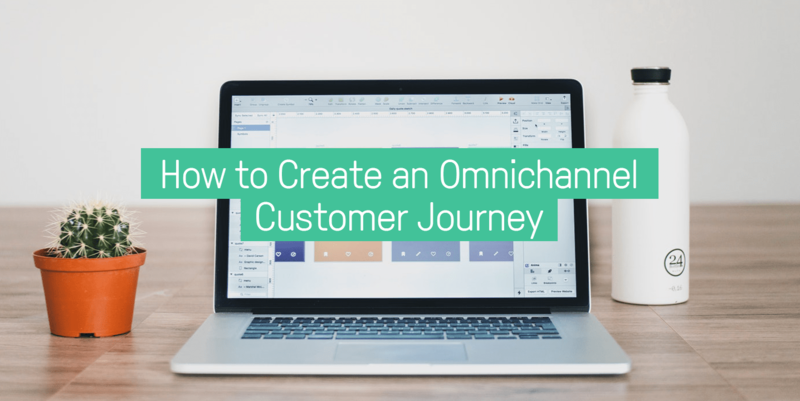 In this article, I’m going to go over how you can create an omnichannel customer journey, and how it can help improve your customer’s experience. In thinking about ecommerce business, it helps to break down the customer journey into its separate steps. This tends to align well with the general conversion funnel of an ecommerce store. As customers move through the customer journey, the messages they need are going to change with each step. Each of those messages needs to be working towards converting the visitor into a customer, and then again to a repeat customer. For each message to be relevant and personalized, using omnichannel marketing is imperative. Let’s go through each step to see how we can create a completely immersive omnichannel customer journey. It would be amazing if a customer just came to your site and purchased on the first visit. While that’s a wonderful dream, it’s far from reality. Or, it’s at least very rare. On average, customers need between 6 and 7 touchpoints with your brands across channels to be convinced to purchase. For some, that first touchpoint is the first visit to your site. While you might not be able to get your hopes up for an immediate conversion, you can stack the deck in your favor. What we need to do here is to transform the visitor into a subscriber. Doing so gives you more leverage to send the right message that’s going to help the customer down your sales funnel. Therefore, your first step involves email capture. In order to capture an email address and other personal information from your customer, you’ll need to have a form of some kind so they can sign up. However, if you showed the same exact message to each person, it wouldn’t be much of an omnichannel customer journey, would it? In order to really improve your sign ups and to make it really personalized, it’s important to target your popups to the right people. Customize the offer you have on different popups. For example if a customer is browsing your shipping/returns policy, create a popup for free shipping. By segmenting and showing your sign up and popup forms, you’re personalizing the customer experience from the door. If for example, your customer doesn’t sign up on their first visit, despite your awesome efforts and amazing incentives, don’t take it personally. They’re not ready. That’s okay. Follow up with cookie-based Google retargeting ads to keep your products in front of their eyes. Chances are, they might come back and sign up. When you finally do get that sign up, it’s a game changer. You now have a viable opportunity at transforming that subscriber into a customer. The first thing you’ll want to do is create an automated welcome series. Regardless of the channels you use, this series typically contains three or more messages. The point is to welcome your customer, give them the incentive you promised for signing up, and show your customer what they can expect from you. Depending on the information you’ve collected, you can start off your relationship with your customer in a few different ways. Email: 74.4% of customers expect a welcome email when they subscribe to a site. Welcome emails are also super effective; they boast a 42.2% open rate. 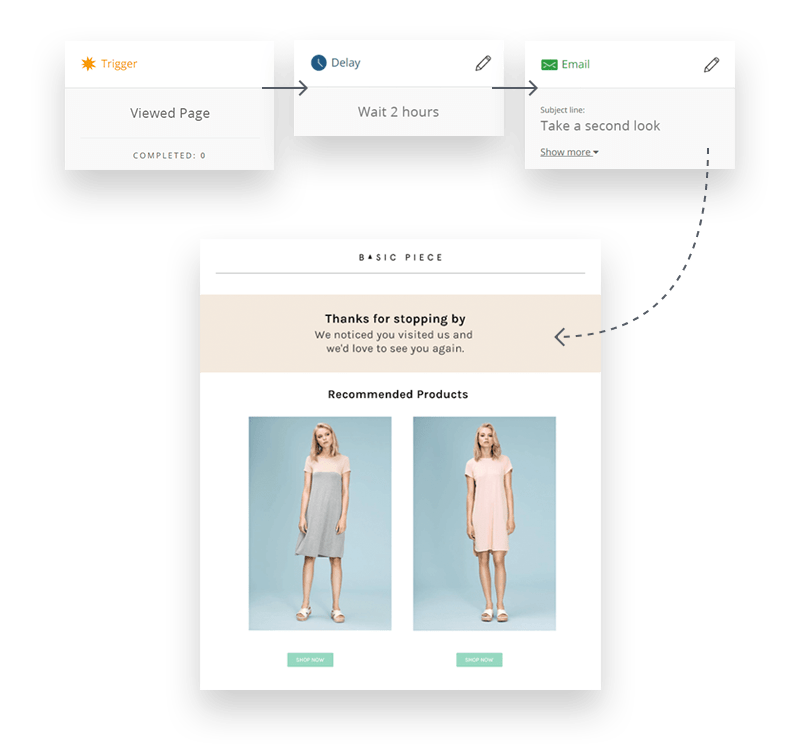 Push Notifications: If a customer has opted-in for web push notifications, it’s worth testing them out with your welcome series for their codes and a link back to your site that auto-applies the code in question. This would help incentivize your customer to purchase. Alternatively, you could send a message via SMS, Viber, WhatsApp, or web push as a simple notification that their discount code is in their inbox. If for example your customer doesn’t respond well to your welcome series, and if they’re still hesitating, follow up after the initial welcome series has ended with your regular automated promotions and retargeting ads to keep them hooked. Combining several of these channels, especially in giving the customer the choice in how they receive communication from you, is a perfect example of how to personalize and create an omnichannel customer journey. In this phase of the customer journey, your customer is showing a higher intent to purchase. It’s easy enough to subscribe, but if customers are clicking through to your site and visiting often, it’s highly likely that they want to buy from you. This is one of the longer stages of the customer journey, and likely where most of those touchpoints happen. But now, you have information on your customer and you can target your messages based on how they shop on your site. More likely than not, your customer will pop on to your site and begin checking out new products, your clearance and promotions, and begin making a decision about purchasing. However, they probably won’t purchase right away. They’ll just check things out and leave to do something else. But the longer a customer spends on your site, the higher their intent to purchase. You can help increase the time spent on your site by sending browse abandonment automated campaigns. For this particular stage, it might be better to stick to email marketing, simply to not be too intrusive. Customers haven’t made up their minds yet, so bombarding them with promotional messages might backfire in a real way. If you want to experiment, it could be interesting to send sale notifications or incentives via push notifications or a message channel. The idea is to send product recommendations based on the products that the customer was browsing, creating a more personalized offer for your customer. Also, try following up with retargeting ads for the products in those categories. This way, you’ll keep showing your products to the customer, and chances are, they’ll fall in love with at least one of them. The key with browse abandonment is not to be creepy. Don’t send an email detailing each and every product your customer looked at. They didn’t make a purchase for a reason, and you sending stalker-vibes isn’t going to help. With cart abandonment, you can take a more aggressive approach. Note here that more aggressive does not mean more salesy. The best practice is to send a message that contains a photo of the products they’ve abandoned. Show your customer why they fell in love in the first place, and remind them of what they could miss out on. In a classic approach, this message has been via email. However, today we can do so much more. SMS, Push Notifications, & Facebook Messenger: Using different channels can help you reach your customer in a more unexpected and immediate way. 95% of SMS messages are read in the first 5 minutes that they’re received, and Facebook Messenger messages have an 88% open rate. 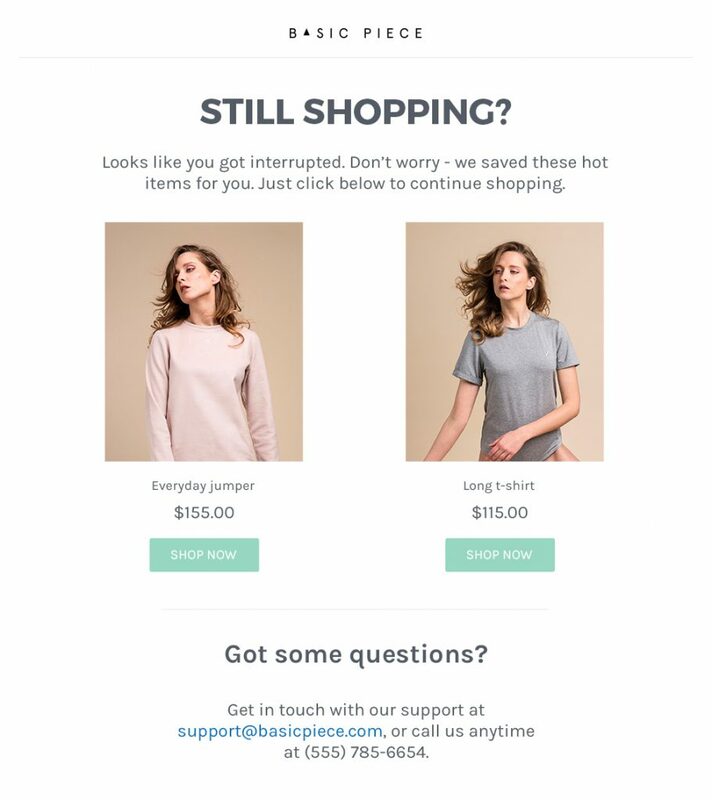 Using different channels for the initial cart abandonment message can be an effective way to bring customers back to complete their purchase. Email: Following up the instant messages with an email is always a good choice. You may not always be able to show the full range of products abandoned, but a reminder with email 12 hours after that first message is a great idea. If your customer doesn’t respond to you cart abandonment series, you can always turn to showing the products in Google and Facebook retargeting ads. Your efforts have paid off and your shopper has become your customer. But your job is far from finished. 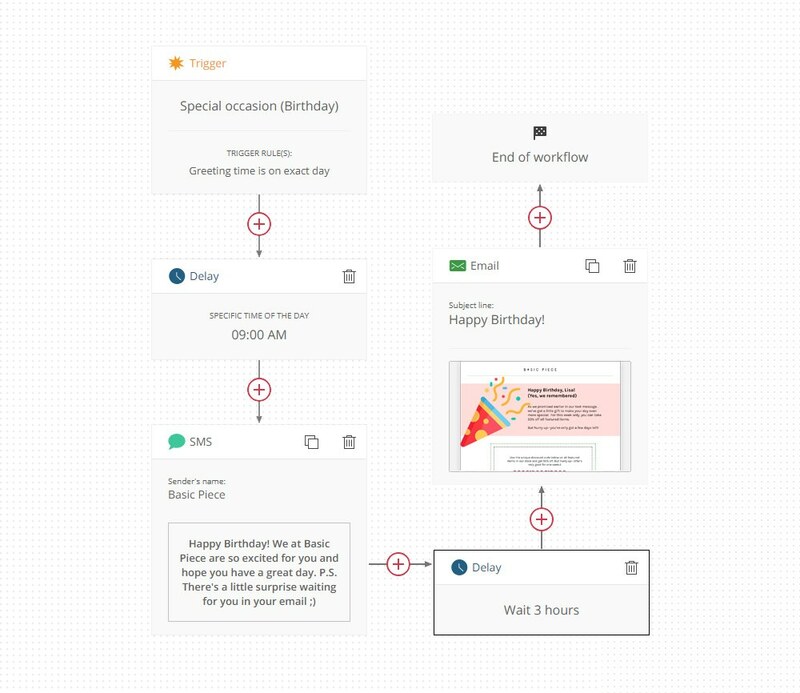 There are a few different automations you should be setting up for this stage of the customer journey, and we’re going to see how we can make them truly omnichannel. These messages are critical because they reassure your customer and help build trust in your brand. Have you ever ordered from an online store and not received an order confirmation? What you can do here to create an omnichannel customer journey is to offer your customer the choice of how they’re notified about their order status and shipping. Some might prefer email, others might prefer SMS, Facebook Messenger, push notifications, etc. Regardless, giving your customer the choice of how they communicate with your brand improve the relationship you have with your customer. For best practices, always include a link back to their account on your store so they can see more details about their order status. If they choose a more immediate messaging channel, follow up with an email that details exactly what they ordered, how much they paid for it, and their order status. A customer has purchased for the first time from you- and that’s wonderful. Your efforts at this point should be centered around getting that customer to purchase again. It costs seven times less to reconvert an existing customer than it does to convert a customer from zero. And with repeat customers likely making up 40% of your revenue or more, it’s worth it to put in the effort here. While you can start this process at step 4 of your omnichannel customer journey with product recommendations and cross selling in the order confirmation email, step 5 is dedicated to it. Feedback can be gathered at any point in the customer journey, but it’s most typically asked for either post order or after the customer has received their product. Asking for a review is a great way to generate social proof, improve your SEO, and help build trustworthiness on your site. 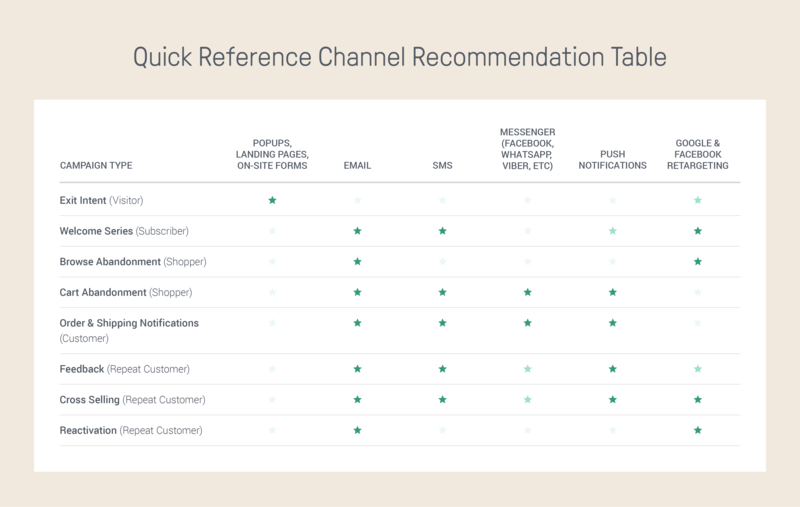 SMS & Email: Use these channels for product reviews. You might want to opt for SMS in this case because any photos a customer is likely to publish will be directly on their phones already. Facebook Messenger: If you’re cultivating a Facebook or Instagram presence, use Facebook Messenger to follow up with your customer and ask for feedback on one of these two platforms. Giveaways work particularly well with social media and are a great incentive, so ask for a customer to post a picture on Instagram and tagging you as a means of entering. Email: For cross selling, emails following a feedback automation series can be used to recommend complementary products to your customers. You want to keep a softer approach, so use other channels sparingly for this case. If you have a loyalty or rewards program, you can use this stage of the omnichannel customer journey to update the customer on how many points they’ve earned. You can use SMS, push notifications, or another more immediate channel for this, but follow up with email so you can show the customer how they can earn even more points (referrals, reviews, etc). If a certain amount of time has passed without purchase, it might be time to trigger a reactivation series. How much time passes between purchases is ultimately going to depend on your products, your prices, and your customer lifetime value (CLV). For reactivation, you can use any channel the customer has opted in for. Combine the channels they’ve consented to and test which ones work best to draw the customer in. If nothing else, it helps engage the customer: reactivation messages have an 40% open rate on average. To make things even easier, we’ve created a quick reference table here with suggested channel combinations for each kind of campaign in the customer journey. Your omnichannel customer journey is not only unique to your store, but unique to each of your customers as well. 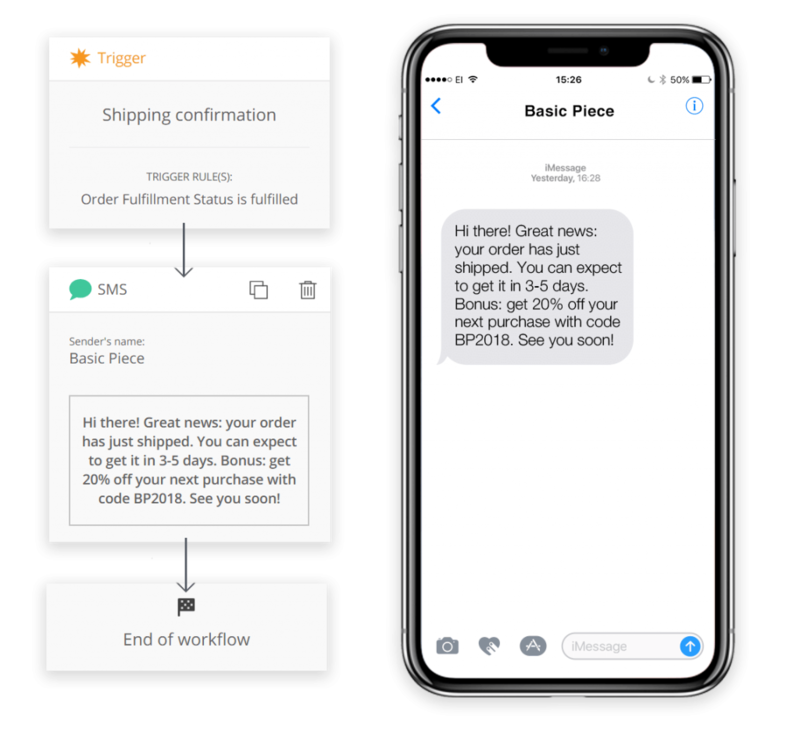 By creating messages that adapt across channels to your customer’s shopping behavior, your messages will be more personalized and relevant to your customers. When you create more relevant messages for them, they’re more likely to engage. By all means, follow the tips in this article, but also test what works best for your customers. An SMS welcome campaign may work well for one, but poorly for another. The only way to know what works best for your customers is to test it yourself.